Sterling Silver Date Bar and Heart Initial Necklace. 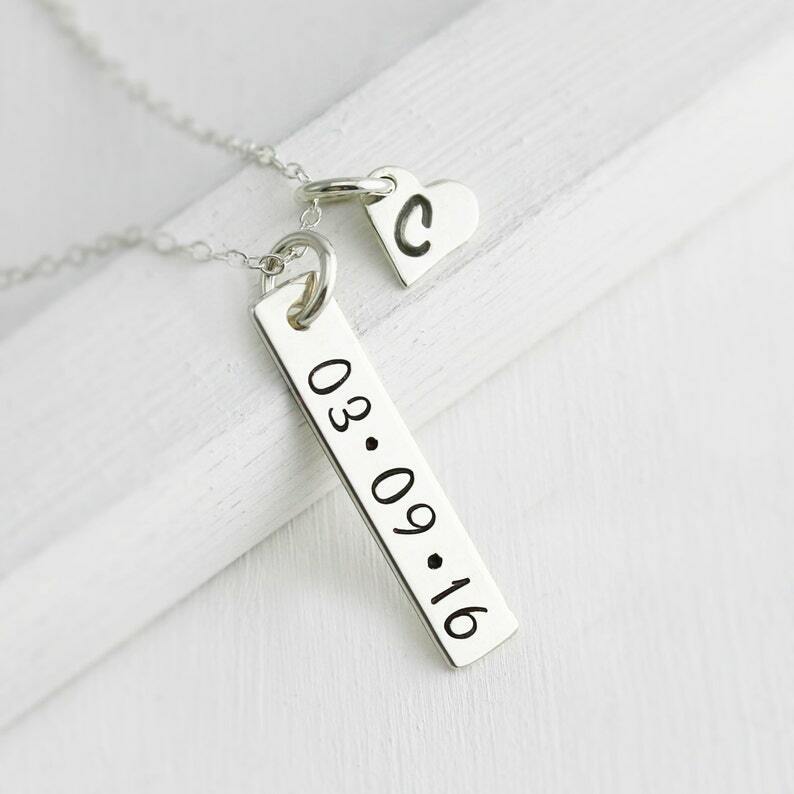 This elegant handcrafted personalized mothers necklace is perfect for a new mom as a push present or just because. Exactly what I wanted! It’s beautiful and very nice quality. It also arrived very quickly.